On a cold Thanksgiving morning in New York City, the Ohio State University Marching Band made us all proud to be Buckeyes. 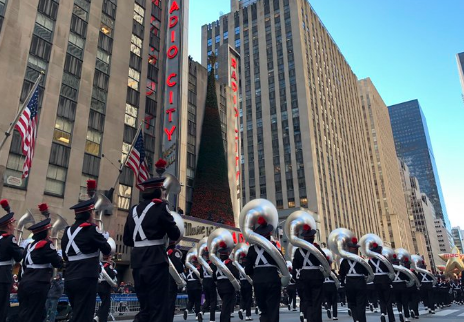 TBDBITL marched the 2.5-mile Macy’s Day Parade route proudly, playing Harry Warren’s “Lullaby of Broadway” in front of more than 3.5 million live spectators and 50 million viewers worldwide. Christopher Hoch, assistant professor and director of the Ohio State Marching and Athletic Bands, told Ohio State News that it was always a dream to be a part of the Thanksgiving Day parade. The band won’t have much time to relish in the accomplishment as they have a very important job to do tomorrow: Cheer the Buckeyes on to a victory over That Team Up North. Heading back to Colu❌bus after a great trip to New York.